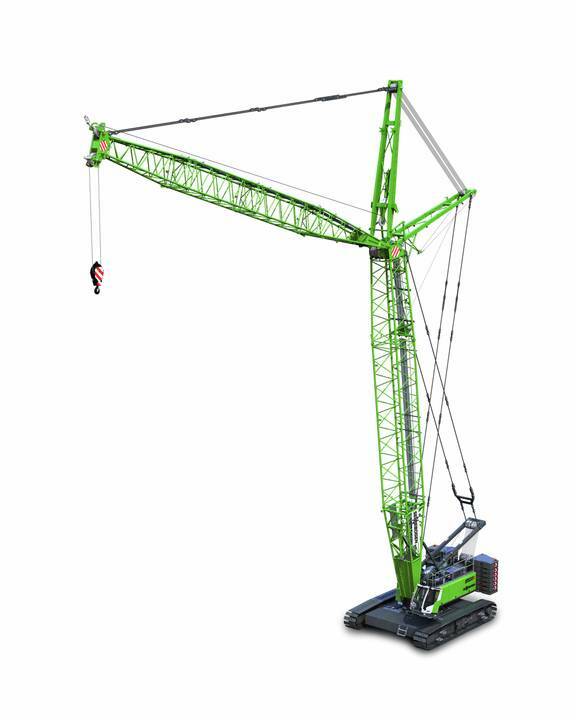 Sennebogen 6133 telescopic crawler crane. 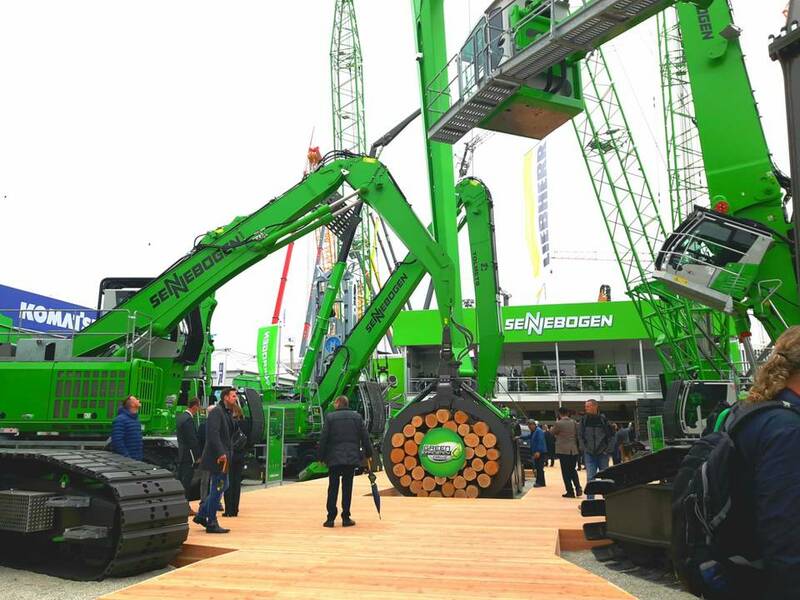 Sennebogen 870 R-HDD - the demolition version of 870 E material handler. 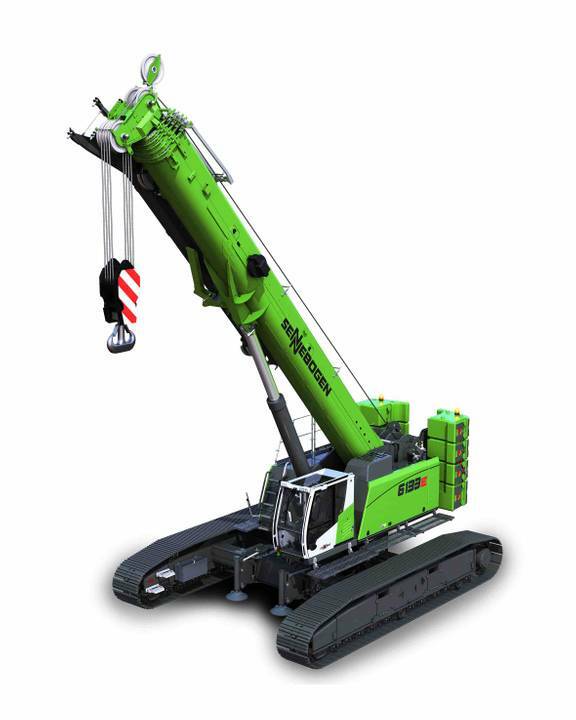 The new Sennebogen 6133 telescopic crawler crane has a maximum capacity of up to 130 t and boom lengths from 12 m to 52 m. It is fitted with two 125-kN winches and a Maxcab comfort cab that can be tilted 20 degree. The crane’s vertical reach can be extended to almost 70 m with an optional 15 m fly boom. With the telescopic crawler undercarriage, it can be retracted to a total machine width of less than 4 m for transport and travel. 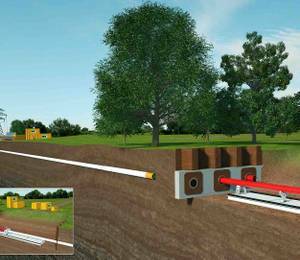 When extended, the crane delivers excellent stability and good manoeuvrability thanks to its 6.30 m track width. 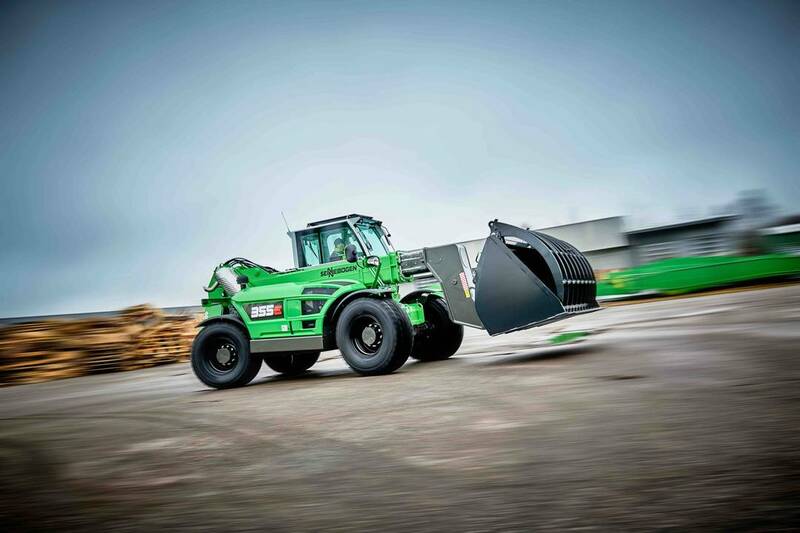 Featuring a self-assembly system, the 6133 E can be assembled and disassembled in just a few steps, within a short time and without the need for an auxiliary crane, said Sennebogen. The 6133 E is not only easy to manoeuvre on the jobsite, it is also easy to load. Once the travelling gears and the ballast have been dismantled, the transport width is only 3 m.
Sennebogen has upgraded its 5500 crawler crane as well, now having a maximum capacity of up to 200 t. Thanks to its robust Star Lifter crawler undercarriage, the machine is not only stable, but can also be conveniently driven under load. Depending on the boom configuration, the working load values can be increased by between 15% and 50%, as a result of the newly developed and strengthened boom construction and the increased ballast. 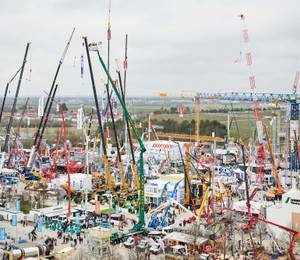 A modular boom design allows numerous equipment variants with lengths of up to 104 m, including luffing jib. The crawler tracks can be easily removed for transport, after which the base machine, at just 3 m wide, can be easily transported. All further components are designed so that they can be stowed in containers or tarpaulin-covered trucks in a space-saving way. With its self-assembly system, the Sennebogen 5500 can be set up quickly. In addition, the Sennebogen 355 E telehandler is designed for challenging and constant use. 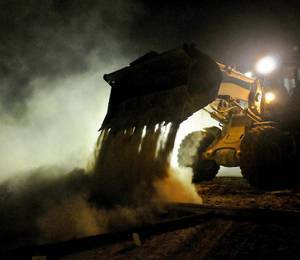 A notable feature is the Z kinematics of the boom head, similar to that of wheel loaders. This greatly increases the breakaway torque as part of bucket operation. 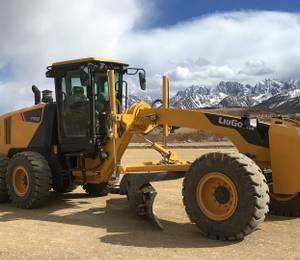 The machine is purposely geared towards a multi-functional machine in terms of wheel-loader operations and is more than just a traditional telehandler. 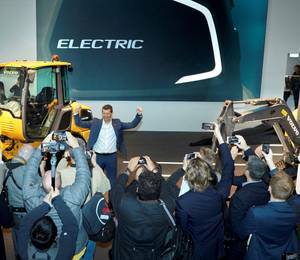 For operator comfort, the 355 E telehandler provides an air conditioned, temperature- controlled cab. The standard reversible ventilators ensure the engine stays clean and ready-to-use, and guarantees reliability even in unfavourable environmental conditions. 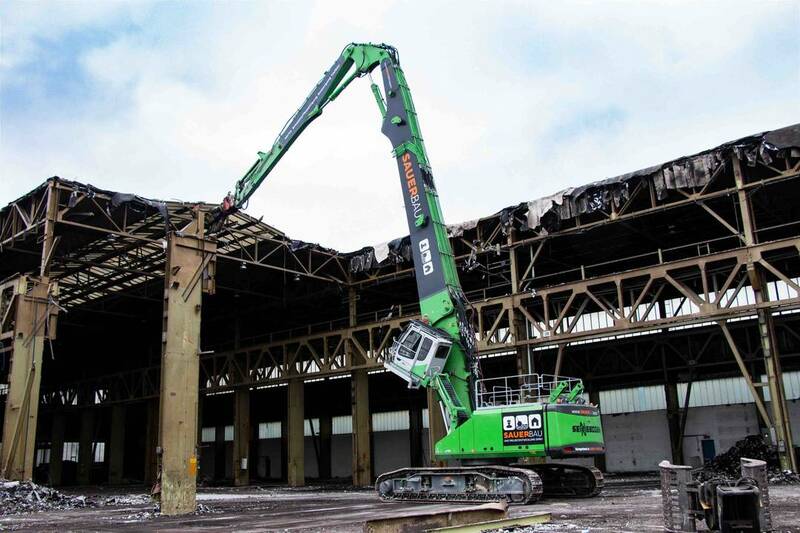 Sennebogen is also offering its 870 E demolition material handler with either the original 33-m-long attachment or the longer 36-m version with a maximum capacity of 4 t.
The new, longer attachment consists of a 19.5 m basic boom with a quick-change facility and a 2.5 m intermediate boom, along with the 12.5 m stick with reversing mechanism. This gives the equipment an overall vertical reach of 36 m and a boom range of 20 m. The demolition machine can handle loads of up to 4 t with ease across the entire working range. 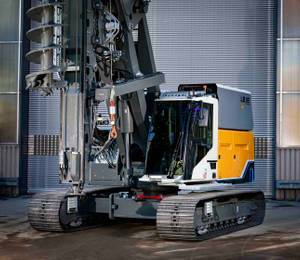 Thanks to its telescoping crawler undercarriage, the 4.2 m and 2.6 m tracks can be adjusted. The attachment and the rear ballast can be removed in order to transport the 155-t machine, thus reducing the transport weight to 66 t.